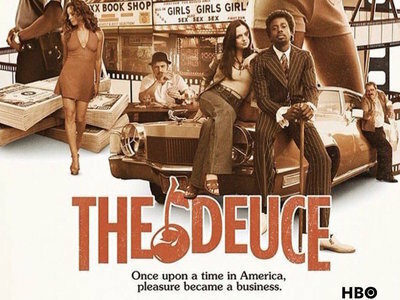 GWC is seeking NON-UNION Men & Women to portray 1980s LA Music Types for work on HBO’s The Deuce! -Must be local to NY area!! PLEASE DO NOT SUBMIT IF YOU’VE ALREADY WORKED! -avail for fitting 4/17 or 4/18? -avail for work on 4/22? -do you have any tattoos? These scenes are schedule to work Thursday 4/18 and will be an exterior night shoot. Be prepared to work late!!! You will need to attend a wardrobe fitting Wednesday 4/17 in Queens! Hello. I’m an aspiring actor looking for extra work. I’ve done some work in the past. I live in NYC, Very interested in getting in the film making business. I’m 56 yrs old. Would loike to be considered for The Deuce. I’m a former dancer with NYCB. I became interested in being an extra years ago but always had a hard time finding NYC shoots, would love to have a chance. I hope I get lucky as it would be awesome. I would like to be considered for the show call the deuce. Thank you carol whitaker. I live in Atlantic city and want to try new things. This would be perfect, can work anytime anywhere! Hello iI’m a widow looking for extra work. I think being an extra in a movie would be the perfect job for me, it sounds like fun. Can you guys please give me a try. I just moved back to NY from Hawaii where I did background work on movies and TV. I am a retired NYC transit worker and a retired Hawaii History teacher. Can work any where anytime! Thanks!